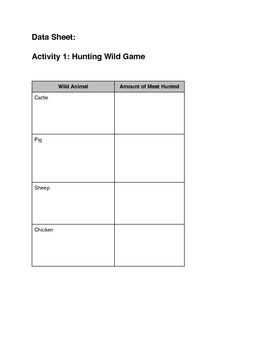 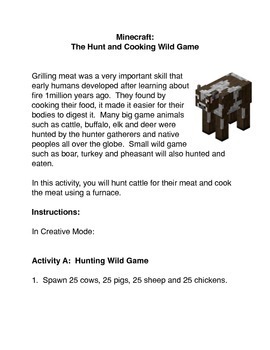 Minecraft: Hunting and Cooking Wild Game is a common core activity that allows students to hunt wild animals and cook their meat. 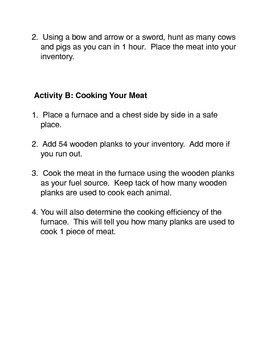 Students will cook the meat of different types of animals and determine whether one meat is easier to cook than another. 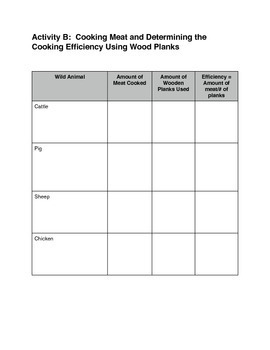 They will use the data they gather to identify which meats cook more efficiently using wood planks as an energy source.